10 TWILIGHT ZONE Episodes You Need To See | Warped Factor - Words in the Key of Geek. Andy Markham takes you through another dimension, a dimension not only of sight and sound but of mind. A journey into a wondrous land of imagination. Next stop, the Twilight Zone! 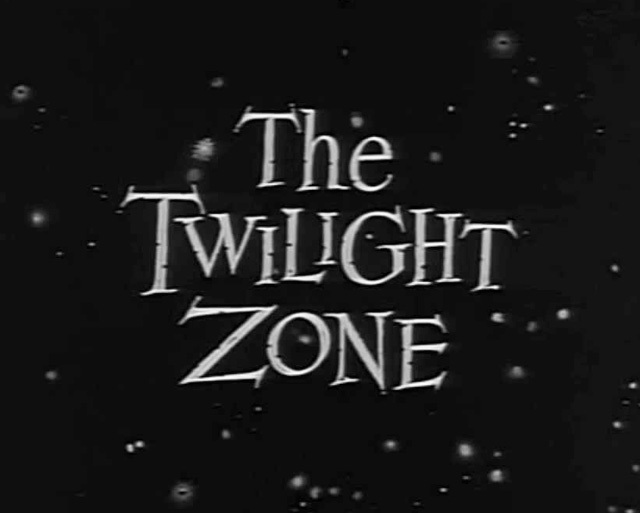 In 1959, Rod Serling's bold, imaginative science fiction anthology series made it to air - its name: The Twilight Zone. Having taken the sci-fi genre by storm and re-defined anthology storytelling as we know it, The Twilight Zone's impact has stretched far and wide across cult media in the 56 years since it first hit screens. But amongst the many weird and wonderful instalments of the show, what are the finest moments? What are the episodes that really resonated, or inspired great works still to come? Here, we take a look at 10 of the most memorable, influential or just downright brilliant episodes of the magnificent Twilight Zone, which every fan of sci-fi simply must sit down and watch. NB: What with the trademark plot twists in The Twilight Zone being such an integral part of reviewing these episodes, spoilers are pretty unavoidable. Be warned! We'll start with the first episode of the series I ever watched, back in the 90s on some obscure repeats channel. I could scarcely have picked a more suitable episode to introduce me to the show - a child-friendly, but upsetting and bleak tale of inevitable death. 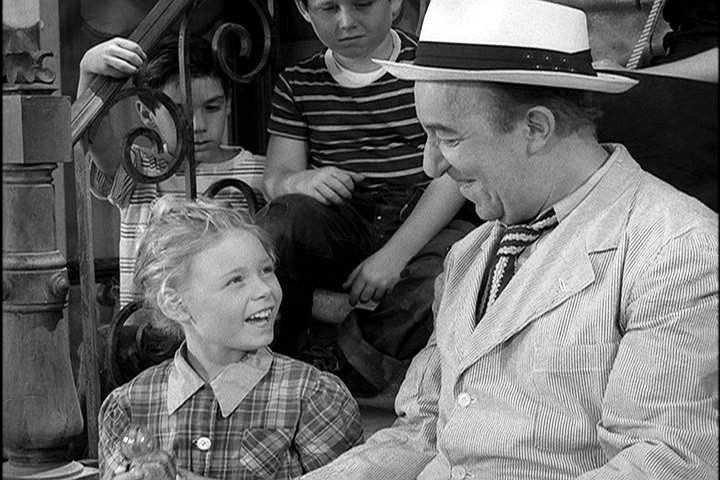 Adorable street salesman Lou (Ed Wynn), beloved by children across the town, is visited by Death (a rather early example of that idea, actually). Lou bargains his way out, so Death decides to take one of the kids instead! However, after carrying out a very modest final wish - making a great pitch from his street stand - he willingly goes with Death to heaven, happy that he's saved another young soul. A very melancholy but sweet tale that carries a universal emotional punch. And now for something totally different, with one of the most unapologetically nightmarish stories of the series. Three astronauts return from space following a mission... or is that two astronauts? Everyone except for crew member Colonel Forbes (Rod Taylor) has forgotten one of the three, who has disappeared from photographs, telegrams, conversations and even family histories. He's not just dead, he's never existed at all! Sound familiar, Doctor Who fans circa. 2010? And of course, we all know what comes next. Forbes himself meets the same fate, as does his other partner. And the story ends with the mission never having happened at all, all three pilots forgotten and the title totally unexplained. Spine-chilling in the extreme. This one is probably one of the most famous Twilight Zone stories of the bunch, largely due to its none-too-subtle social commentary and its neat subversion of the classic alien invasion story. Sure, the aliens invade, just like in most sci-fi stories of the time, but then... they just kick back and relax, and wait - because the humans are doing a damn good job of destroying themselves in their own panic over the invasion. Sounds cliched in retrospect, but this was a highly novel idea at the time and has been copied and parodied - most memorably on The Simpsons ("soon they'll have bigger boards with bigger nails...") - more times than one could possibly count, as it was one of the first sci-fi stories to show us that alien invasion stories didn't have to be about the aliens at all... perhaps humans are even more interesting. Let's wildly shift in tone again for a classic Hitchock-style thriller, with the trademark Serling twist. The plot is another one that is so recognisable it seems ridiculous, but in the context of the 1950s it was a seriously out-there kind of story. A nice, normal young woman (Inger Stevens) politely refuses a hitch-hiker during a long drive, and the hitch-hiker consequently appears again further down the road, and again, and again, and again - gradually tricking her into more and more dangerous situations. In the end, she finally seems to have escaped him. But a quick glance behind her shows that the hitch-hiker is in the back seat. He's Death himself (again) and is going to hitch-hike her to hell. Aaahhh! For pure terror, look no further than this one. 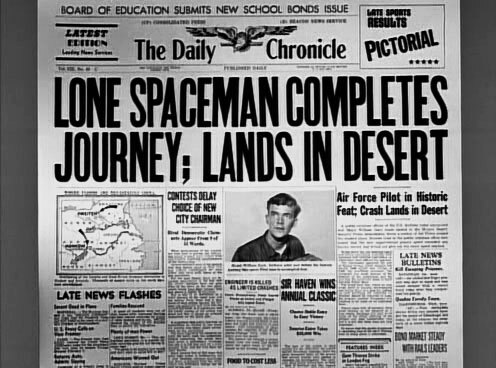 Now and again The Twilight Zone liked to do a story that wasn't scary or eerie in the traditional sense, but was more of a mystery story which nonetheless carried the hallmark Serling twist. 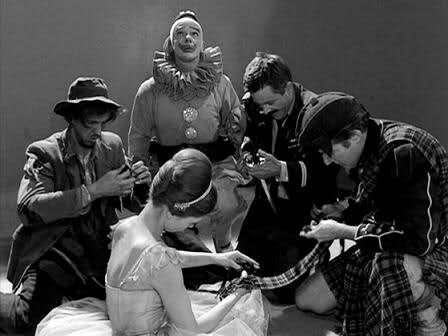 On this occasion, we have five unrelated characters - a major, a hobo, a musician, a clown, and a dancer - trapped in a big metal room with no knowledge of who they are. There's a long, drawn-out affair about the characters attempting to escape from their prison, which ultimately proves meaningless when faced with the final twist, as a little girl pops her dolls back in their box. 34 years before Toy Story! 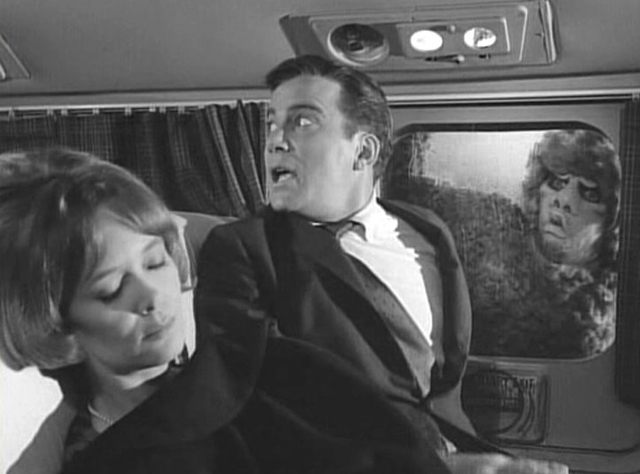 Probably the most famous Twilight Zone story of all, this one stars none other than William Shatner as a plane passenger who gets rather more than he bargains for with his window seat. Most people know the plot of this one - Shatner's convinced there's a monster on the outside of the plane trying to get in, and no one else can see it. This one's notable for having a double twist - Shatner's hauled off in a strait jacket, totally insane for imagining the creature. But in the final moments, a severely damaged plane wing is glimpsed. So was it real? You decide! And that terrifyingly ambiguous ending lays a fundamental bit of groundwork for sci-fi writers throughout the ages. A true classic. Sure, the twist in this one is mind-numbingly obvious these days (again, made especially famous by The Simpsons), but just like "The Monsters Are Due On Maple Street", this was one of the first attempts to truly mess with the audience's heads with regards to alien invasion stories and how we should be feeling towards our alien visitors. A race called the Kanamits arrive on Earth, keen to foster a relationship with us. They leave us a book, eventually discovered to be entitled "To Serve Man". So they're good guys after all! 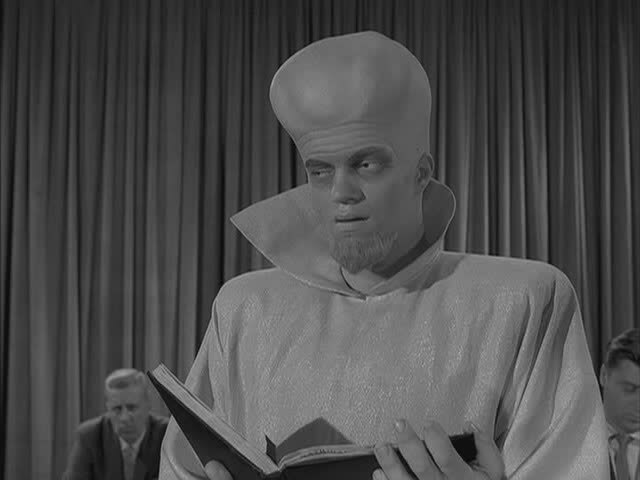 As we all flock to their planet to see what they have to offer, it turns out that "To Serve Man".... well, it has a bit of a double meaning. You do the rest! A gleefully nasty and cynical take on the classic sci-fi tropes. Finally, we get an alien invasion story that does appear to be doing things a bit more by the book. A little old woman finds a bunch of tiny aliens attempting to invade her home, and sets out to eradicate them. Played for the most part as a weird black comedy, it marks itself out as one of the wackiest and most tongue-in-cheek of all the stories, and that's turned up to eleven with this episode's big twist. It turns out the aliens aren't little... she's big, and she's the alien. Yeah. Watch this one for the sheer joyous madness of it. 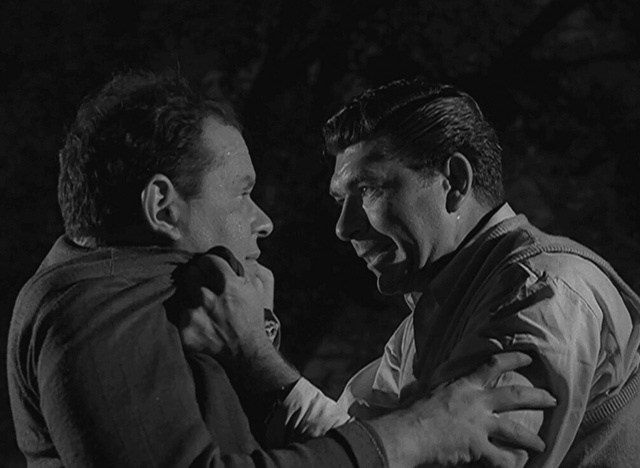 Just like with "The Hitch-Hiker" and "Five Characters in Search of an Exit", Serling once again decides to shift the usual tone of the series here for an elaborate, maturely handled drama about childhood and the sadness of growing up. Martin Sloan (Gig Young) pays a visit to the hometown of his youth, and finds it hasn't changed at all since his childhood... until he realises this actually is his childhood. 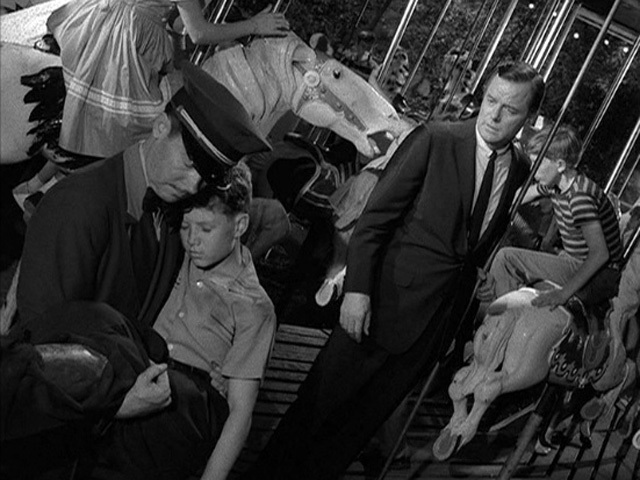 In The Twilight Zone's first full-blown time-travel story, the subject is tackled with surprising weight and depth. Sloan tries with all his might to enjoy the experience and get another taste of his times as a child, but finds himself causing trouble and becoming alienated at every turn. After his father realises what's happening and advises him to move on, Sloan leaves and decides to never look back. Nothing scary here, just a very sad, very familiar tale. If "Five Characters" is rather like Toy Story, this is rather like Toy Story 3. But of course, there can only be one episode to round this list off - and if you really only have the time or inclination to watch just one episode of The Twilight Zone, make it this one. 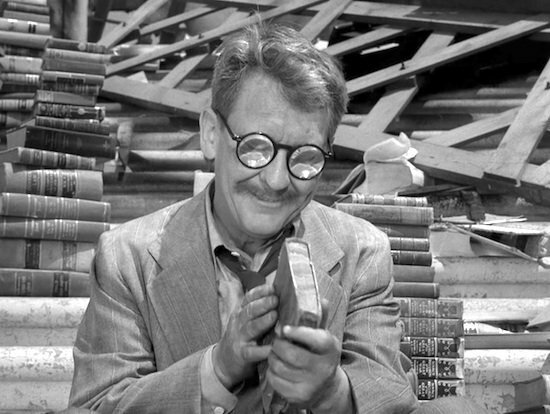 The highly endearing Henry Bemis (Burgess Meredith) loves nothing more than the written word, but never has any time or space to read amongst his miserable existence. Suddenly, nuclear war strikes and Henry is the last man on Earth, utterly lonely and desperate - but with every book in the world at his disposal and the rest of his life to read them without interruption. On the face of it, it looks like a very well written "be-careful-what-you-wish-for" story - but that's not it at all. I'm not going to tell you the ending, but suffice it to say it's quite simply the cruellest and most heart-rending twist you're ever likely to witness in science fiction. Watch this one and admire the sheer genius of Rod Serling - this is how it's done. Andy is a writer, musician, graduate, and super-geek. Ginger glasses-wearer. Star Wars obsessive and Doctor Who enthusiast. Specialises in film music and currently writing his first book on the subject. This article was originally published July 14th 2015.